Amy covers a variety of tasks for our office. In addition to transcribing Dr. Dalessandro’s dictation, she also coordinates his meetings. Amy oversees inventory, is our point-of-contact for sales reps, and handles a range of miscellaneous and unusual jobs that pop up. Amy and her husband love to travel and try to take a least one big trip each year. Locally, she enjoys attending theater and festivals with friends, kayaking behind her husband while he fishes, and activities with their church. For downtime, Amy says nothing is better than a good book with a cup of tea and her tiny dog in her lap. Anita helps to create a peaceful and comfortable experience for our patients. 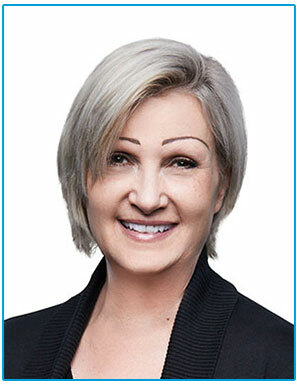 She recently joined our office, bringing with her more than 19 years of experience in all aspects of dentistry. Anita prepares rooms and instruments for patient appointments, and works alongside Dr. Dalessandro during procedures. While not assisting, Anita works as an event chef for a local catering company. She uses her cosmetology license styling hair for special occasions. Her other interests include photography, cooking, entertaining for friends and family, and being a furry mom to her Malti-poo Rosina. It is usually Charlee’s friendly voice answering our phones. She is skilled at immediately making people feel at home, both on the phone and when they arrive. She keeps our schedule running smoothly, likening the process to putting together a puzzle. Charlee has been married for over 40 years. She and her husband have two sons, five grandchildren, and a dog named Stanley. When she’s not working, Charlee and her husband enjoy cheering for their grandchildren at their sports events, participating in a Bible study group, and volunteering at their church food pantry. Christie helps patients improve and maintain their periodontal health. 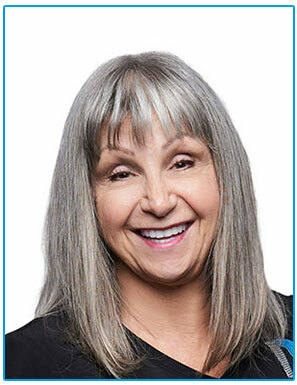 She provides oral hygiene and general health education, offers non-surgical periodontal therapy and laser treatment, and administers local anesthesia to patients requiring deep scaling procedures. Christie and her daughter live on the lake. She enjoys volunteering at her daughter’s school, cheering for the Chicago Cubs, and exercising. Christie also enjoys most all outdoor activities: camping, biking, swimming, skiing, and playing softball. Hala prepares the surgical suites and rooms prior to procedures then works chairside, assisting Dr. Dalessandro as he tends the patient. When finished, Hala explains post-op care processes, answers questions, and makes sure the patient is pleased with their visit. Outside of work, Hala enjoys time with her two sons. She is an avid traveler and has been to over 30 countries. Her next goal is to visit and explore South America. 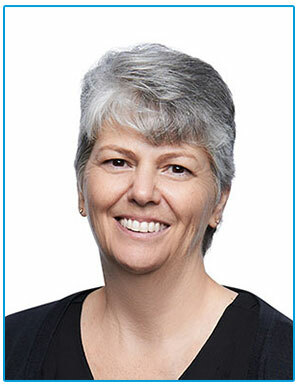 Lisa handles all insurance matters for patients, ensuring each person is able to maximize their benefits. She also lays out treatment and finance plans and sets appointments. With her knowledge and calm demeanor, Lisa offers comfort and support, listening to people’s concerns and educating them so there are less “unknowns,” which relieves stress and worry. Mary handles our recall scheduling, ensuring patients are staying on schedule with their hygiene visits. She also communicates with referring dentists, so our patients are able to maintain their improved oral health. Mary is married and has three children she’s very proud of: one son is in the Navy, one son is a firefighter, and her daughter is very artistic. She also has three well-loved cats. Mary enjoys time with family and friends and regularly participates in overseas mission trips with her church. As a surgical assistant, Nancy prepares for surgeries and handles lab work. 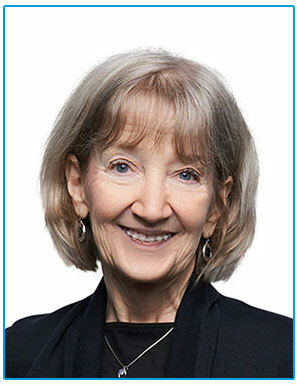 She assists Dr. Dalessandro with surgical procedures, sees post-op patients, and handles clinical care under the doctor’s supervision and direction. Nancy lives with her husband Dave, two tiny toy poodles, and her father, who recently moved in with them. She often visits her son, as well as her daughter, son-in-law, and two grandsons, in Houston. In her spare time, Nancy enjoys working in the yard, going to Bible study, and exercising. Neva coordinates consultation appointments with Dr. Dalessandro. She makes sure we have the X-rays and necessary records from referring dentists, so patients do not have to worry about getting them. Working with patients, Neva answers questions about procedures, putting people’s minds at ease. She also answers phones, schedules appointments, and handles a variety of front desk tasks. Neva has been married over 35 years. She has two daughters and three grandchildren. Outside of work, she enjoys traveling, is an animal lover, and enjoys nature: hiking, exploring the woods and mountains, and going to the beach. She was a music teacher for years and is now involved in a local theatre. Sarah sets up surgery rooms and prepares and sterilizes instruments. 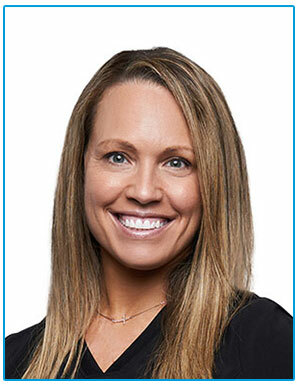 She assists Dr. Dalessandro during procedures and provides patient instruction, comfort, and support. When the procedure is finished, she sterilizes and cleans the surgical suite. Sarah also handles our inventory control. Sarah has been married for more than 30 years to an amazing man. The couple has a daughter, who’s beautiful inside and out.